WASHINGTON — The Food and Drug Administration is launching the government’s largest effort yet to curb tobacco use among at-risk teens. The $115 million media campaign stems from the FDA’s new authority to regulate tobacco, granted by a 2009 law, says commissioner Margaret Hamburg. The ads will target the roughly 10 million American teens who are open to smoking or are already experimenting with cigarettes, she says. Many “at-risk” kids see smoking as a temporary coping mechanism to help them deal with the “chaos” caused by poverty, violence or family turmoil, said Mitch Zeller, director of the FDA’s Center for Tobacco Products. Although the first round of ads will aim for a broad audience, later campaigns will target specific groups, such as gay teens and Native Americans, Zeller said. Ads from the campaign, called “The Real Cost,” will run on MTV, in Teen Vogue, on YouTube and other social media. The ads are based on studies that show teens are often more worried about their appearance today than their long-term risk of cancer, Zeller said. One of the videos features a girl trying to buy cigarettes at a convenience store. When a clerk tells her that she doesn’t have enough money, the girl reluctantly scrapes off part of her cheek, revealing ugly wrinkles beneath, then hands her youthful skin to the clerk. The educational effort stems from the FDA’s expanded authority to regulate tobacco, provided by the Family Smoking Prevention and Tobacco Control Act of 2009. 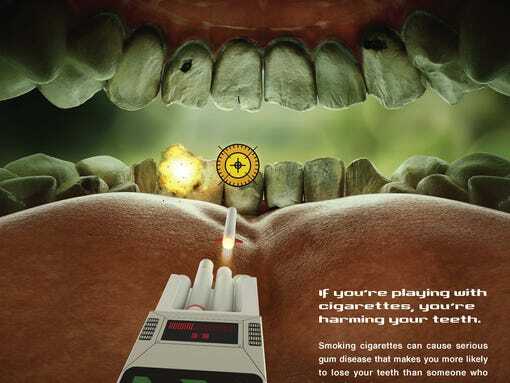 The FDA cited the 2009 law when it created graphic warning labels for cigarette packs. A federal appeals court struck down those warning labels in 2012. Although the FDA has asserted its intention to regulate electronic cigarettes, the ads won’t mention them. The agency has not yet issued regulations for e-cigarettes, which contain nicotine but no tobacco. The media campaign is one of three major anti-smoking efforts this year. 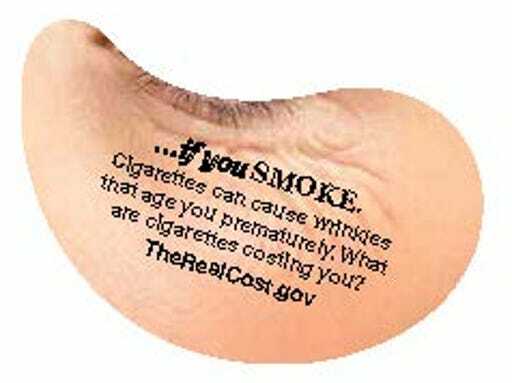 The Centers for Disease Control and Prevention this week relaunched its “Tips from Former Smokers” campaign, which began in 2012. That effort, costing $48 million to $60 million each year, has been credited with helping 100,000 Americans quit smoking. The “truth” campaign — run by the anti-smoking group Legacy — will also launch a media campaign this summer, said Robin Koval, the group’s president and CEO. The truth campaign — funded by the Master Settlement Agreement between tobacco companies and the states – has been credited with preventing 450,000 young people from smoking from 2000 to 2004 can find on this page. Yet Myers said these efforts are dwarfed by the tobacco industry, which spends more than $8 billion a year on marketing.